FYI, curling wand lovers: Wands come in the same materials. If using tapered wands, the large end works best for loose, relaxed curls, while the smaller tip works for tight, springy curls. Tip: Tighter curls on the underside will help to create a bouncy, voluminous look. 1. Remove the stand from the iron. 2. Unscrew the sides of the clip and remove. Are you looking to be a VS Angel, Little Mermaid, or Shirley Temple with those curlycues? 6. Curl your hair while it's in a high ponytail for quick, effortless waves. Once all of your hair is curled and cooled, take down your ponytail and mist with hair spray. When you start by clipping the end, the piece of clamped hair stays under the heat the longest, which not only crimps it awkwardly, but could be damaging. Clamping the hair from the bottom makes it physically harder and more awkward to twist the hair. This means curling your hair in a clockwise direction on the right side of your head, and counterclockwise on the left. Lock in your ends last to keep the most heat at the top of the curl, prolonging its life and making it look longer. 11. For fine, thin, or color-treated hair, set the heat below 200 degrees Fahrenheit, and between 200-300 degrees for coarse, thick hair. Never go above 400 degrees Fahrenheit unless you want to experiment with burnt layers. 12. To make the most of your curling iron's abilities, dry your hair according to the curls you want. Drying methods help your curling iron do its job while also making you happy aka not throwing your iron across the room. 13. Slide your hair off the wand/out of the clip into your hand to allow the curl to cool before dropping. Don't drag your curl downward with the clip or let it fall off the wand before letting it cool in your hand. This will allow your curl to set, resulting in longer-lasting curls. 14. Go a step further and clip your curls straight off the barrel in coils on the top of your head so they can fully cool. For added hold, spray the clipped curls before letting them down. 15. While running the iron through your hair, hold your iron vertically for looser curls, and horizontally for bouncier, tighter curls. Tips for vertical curling: Pull the iron downward for a flatter curl; pull it up and away from your head for more volume. 16. Pulling the hair on the crown of your head forward with the iron will give you extra volume. This is especially helpful for those with flat, pin-straight hair. 17. 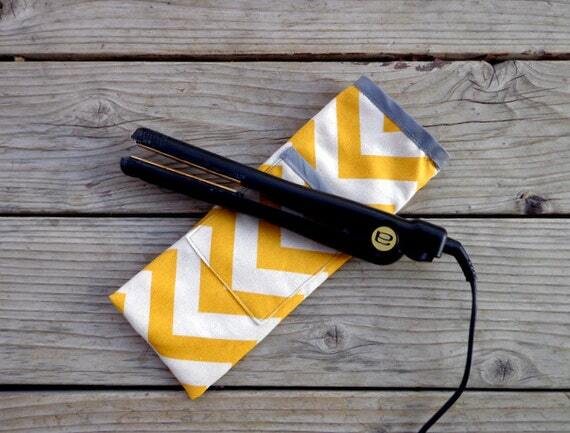 Curl your hair so that the ends are at the tip of the iron. Tip: The closer together your hair is on the barrel, the tighter the curl. 18. When using a curling wand, turning it upside-down allows you to start curling your roots on the larger end of the wand. Tip: Hold the wand behind your head to avoid burning your face or head. 19. To curl bangs, wrap the hair away from your face and pull the curl out toward the back of your head. Pulling the curl backwards gives you that flawless side-swept, voluminous fringe. 20. To clean all of the built-up product on your curling iron, heat it until warm and rub clean with a wet cloth. Clean your iron regularly to keep it working to the best of its ability. For a deeper clean, try a bit of rubbing alcohol mixed with water (only if the iron is completely cooled, as rubbing alcohol is highly flammable), or a styling iron cleaner. 21. NEVER run a hot iron under cold water to cool it down or you could damage the springs. If you're in a rush to pack your iron or put it away neatly, grab a cooling bag, which can be used for any hot styling tool. On a budget? Use a pot holder — it does the same job!